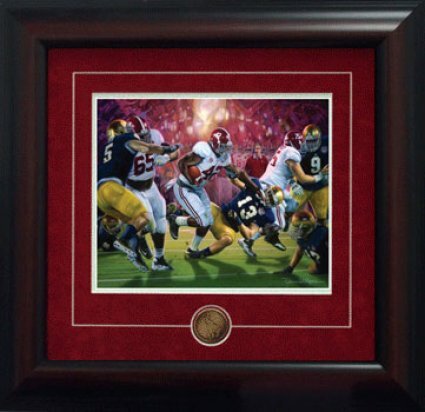 Celebrate Alabama's 15th National Championship with this limited edition fine art print by Daniel Moore. This print features Eddy Lacy and Alabama's dominating offensive line as they rolled to a 42-14 victory over Notre Dame in the Discover BCS National Championship. This would be the 3rd in 4 years and second in a row.